Our step-by-step process is easy to follow, making your permit application a breeze! Get yourself prepared BEFORE you visit the DOT. The Wyoming Department of Transportation (DOT) requires all new teen drivers under 17 years old to complete its graduated driver licensing (GDL) program. Applying for your learner's permit is the first step.With a WY permit, you can begin driving under the supervision of a licensed driver and practice for your road test. This page contains information about WY learner's permits and the next steps to obtain your WY driver's license. If you have a learner's permit from another state, you may drive with in in Wyoming as long as you adhere to the same licensing restrictions that were imposed in your previous state. That is, if you could only drive during certain hours while accompanied by a licensed driver BEFORE you moved to Wyoming, you must still follow those rules. If you wish to transfer your out-of-state permit to a Wyoming permit, please contact the Department of Transportation for details. You will likely need to follow the same steps listed below. You must be at least 15 years old to obtain a Wyoming learner's permit. Wyoming issues REAL ID-compliant permits. NOTE: If you're 14 years old, you may be eligible for a restricted learner's permit. See “Restricted Learner's Permit" below. Submit a completed Wyoming Driver License Card Application (Form FSDL-705). Your parent/legal guardian must sign your application. 1 document proving of your Social Security number. All legal documents supporting any name change(s), such as a marriage certificate, divorce decree, or other court document. 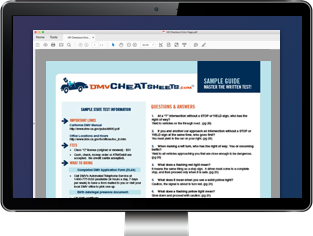 The WY DOT provides a checklist of all required documents. Pay the $40 learner's permit fee. When practicing driving, a licensed driver who is at least 18 years old must supervise you. You must hold your Wyoming learner's permit for at least 10 days before you can apply for your intermediate driver's license; however, your learner’s permit is valid for 1 yearand you can renew it as many times as necessary. Your residence must be more than 5 miles from your school. You have a regular job (at least 10 hours per week), which is more than 5 miles from your home. You have a license to work in your parent's business. You're subject to other extreme circumstances. Contact the WY DOT for more information. Refer to the WY DOT’s checklist of all required documents. WY DOT issues restricted permits for 60 days; however, you can apply for a full restricted driver’s license after you’ve held the permit for 10 days. An adult 18 years old or older must accompany you when you are driving. When you apply for a learner's permit in Wyoming, you must pass a written exam. Identifying traffic signs (shape, color, symbol, etc.). Identifying signals and pavement markings. Traffic laws, safety rules, accident prevention, and car equipment. You should take some time to get ready for your WY written permit test by studying the Wyoming Driver Manual and if you want to ensure passing the exam on your first try, we suggest taking an online practice test. If you fail the written test, you can usually take it again the same day. However, the WY DOT may make you come back the next business day to retake it if you answered a majority of questions incorrectly. Once you have your driver's permit, you will be allowed to drive ONLY while accompanied by a licensed adult who is at least 18 years old. From 5 a.m. to 8 p.m. Within 50 miles of your house. While you have your Wyoming learner's permit, you must complete driving practice before you can apply for your intermediate permit. You must complete at least 50 hours of behind-the-wheel-training, including at least 10 hours at night. You may only practice driving if a licensed driver 18 years old or older accompanies you. You'll need to keep a log of your supervised driving hours and provide a completed Behind-the-Wheel Driving Certification (Form FSGDL-01) to the WY DOT when applying for your driver's license. Once you complete the behind-the-wheel requirement and have held your Wyoming driver's permit for at least 10 days, you're eligible to move on to the next stage of the GDL program. If you're under 17 years old, you can apply for an intermediate driver's license that allows you to drive unsupervised during certain hours. Otherwise you must wait until you turn 17 years old to apply for your full driver's license. Held your Wyoming learner's permit for 10 days. Completed your supervised driving hours and submitted your certification form. See “Behind-the-Wheel Driving Requirements" above. For more information about obtaining your full or intermediate driver's license, read our page about Applying for a New License (Teen Drivers) in Wyoming. Use this form to apply for a driver's license through the Wyoming DOT if you are under the minimum age for a normal license. MUST be notarized and signed by your parent/legal guardian, school, and employer if you’re applying to drive for or to a job.